Homeopathy comes from the Greek words "homios" which means similar and "pathos" which means suffering, the first homeopathic principles were defined by Hippocrates and Paracelsus and further developed in the 18th century by Samuel Hahnemann, a German doctor. Hahnemann became disillusioned by conventional medicine, he was strongly opposed to the medical methods at the time which involved bloodletting, leeches and heavy metals and stopped practising medicine. While translating William Cullens treatise "Material Medica", he was challenged by Cullen's writing on the medicinal properties of the Peruvian bark, cinchona, which explained that quinine, a constituent of cinchona, cured malaria because of its astringent properties. Hahnemann disagreed with Cullen and to prove that he was right he gradually ingested cinchona. He discovered that he was developing symptoms of malaria, but when he stopped taking cinchona the symptoms disappeared. He hypothesised that if large doses of the remedy were to cause malaria in a healthy person then small doses might stimulate the bodys healing properties in a person ill with the disease. For several years Hahnemann tested poisonous substances on volunteers recording physical but also emotional and mental symptoms. 1. The principle of similars or that "like cures like": homeopathic remedies treat illnesses with a substance that produces, in a healthy person, similar symptoms to those displayed by the person who is ill. According to Hahnemann this is possible because nature will not allow two similar diseases to exist in the body at the same time. The mainstream immunisation programme is based on a similar principle, but in homeopathy the remedy used does not infect the patient with the actual disease or virus; it produces similar symptoms to the disease, for example Allium Cepia, a remedy created from red onion, is used to treat patients whose symptoms include watery eyes and a runny nose. 2. The principle of infinitesimal dose: Homeopathy works the opposite way of conventional medicine where a minimum dose is required for effect. Hahnemann believed that the more a remedy was diluted the more potent it became, the more specific its effects were and the longer they lasted. In 2001 two researchers, Kurt Geckeler and Shasadhar Samal confirmed this theory and proved that following the process of succussion, molecules do not disappear but clump together. According to Richard Gerber homeopathic remedies are subtle energy medicines which contain the energetic frequency of the plant, mineral or animal from which they have been prepared. 3. The principle of specificity of the individual: The treatments are individualised: each individual has a symptom profile and it is likely that two individuals with the same condition will be given different medicines. Practitioners look at the whole person not just the condition. They will ask a series of questions about the medical history, moods, likes and dislikes, diet, chronic disorders or traumas of the patient in order to draw a list of symptoms, they pay special attention to unusual symptoms. The choice of remedies depends more on the patient's individual reaction to illness, mentally and emotionally, than on the signs and symptoms characteristic of the disease, for instance if a patient has headaches, it is not the headaches that will be treated but the person with the symptoms; depending on where the headache is located or when it occurs different remedies can be used. The remedy that fits all the symptoms of a person is called similimum for that person. There are over 2000 homeopathic remedies, they are made from plants, minerals, metals or animals. Their Latin name indicates the substance they were created from. The remedies are extremely pure, they come in the form of lactose tablets, powder, granules, or as a liquid. Parts of the original substance are dissolved in alcohol to create the mother tincture (MT). This liquid is shaken (succussed) several times, 1 drop is mixed with various ratios of distilled water: 1 in 10 (x dilutions), or 1 in 100 (c dilutions). For example 2C (2CH in Europe) dilution means that 1 part of mother tincture is mixed with 99 parts of water and alcohol, then shaken (1C), then 1 part of this liquid is mixed with another 99 parts and shaken (2C). Long-standing complaints are believed to take longer to treat. Symptoms may often get worse before they begin to get better, this reaction is called the healing crisis. In the UK homeopathy was included as part of the National Health Service when it was founded in 1948, it has since then become increasingly popular. In America homeopathy was well established until 1900 when the last homeopathic organisation closed, however since 1970 there has been a noticeable increase in the number of patients who consult homeopaths. In France it is estimated that over 37% of the population visit a homeopath and it is possible to buy various potencies at chemists without a prescription. Homeopathy mechanisms are unexplained by modern day science hence the need for evidence, however clinical trials offer a difficult challenge to homeopaths since each patient must be administered the same remedy which is opposed to the principle of specificity of the individual. Homeopathy has proved beneficial in the treatment of influenza, asthma, migraine, diarrhoea, fibromyalgia, allergies, digestive system disorders, rheumatism. Generally it is believed to work well for short term acute illnesses, chronic disorders, immune dysfunction, emotional and mental disorders, skin disorders, or respiratory disorders. Because there is hardly any trace left in the final dilution, the therapeutic properties of homeopathy have been associated to those of placebo. 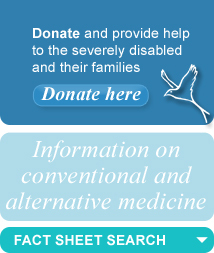 However In 1997, Linde and Jonas of the National Institute of Health in America analysed 186 clinical trials on homeopathic therapies, the authors concluded that "the results of this meta-analysis are incompatible with the hypothesis that the clinical effects of homeopathy are due exclusively to a placebo effect". In 2000, the British Medical Journal published a randomised controlled trial of homeopathy versus placebo in perennial allergic rhinitis, the authors,Taylor, Reilly, Llewellyn-Jones, McSharry and Aitchison found that homeopathic dilutions differed from placebo.